Does your neck feel a little empty? Yes, I realize how strange this question is. These accessories will fill that empty void nicely. Most of these are lovely and lacy - my favorite! Add a bit of elegance to your dreary garb with gothic jewelry and accessories from Arthlin on Etsy. 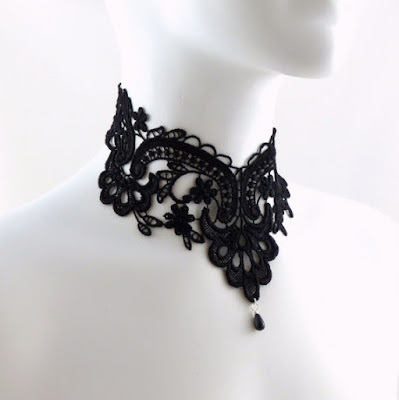 This black lace choker necklace is such a classic. It's looks so whimsical and haunting with the black beads hanging below. I do love how the flowers are simple in design. 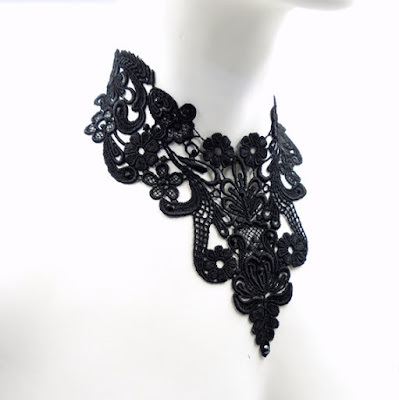 You could wear a spooky dress with this black bib lace necklace with jet Swarovski rhinestones. It is a very alluring piece which will enhance any of your outfits. Originally I thought these were beads woven together. 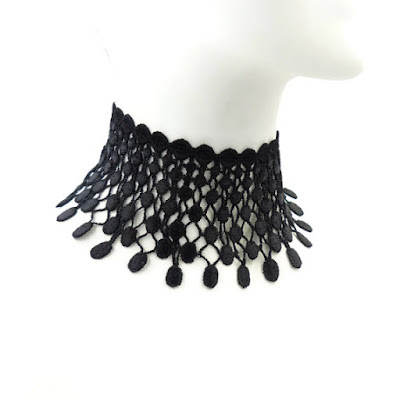 The wide black lace choker necklace is dramatic and perfect for funerals or other somber events. If you're looking for a show stopper, this is it! 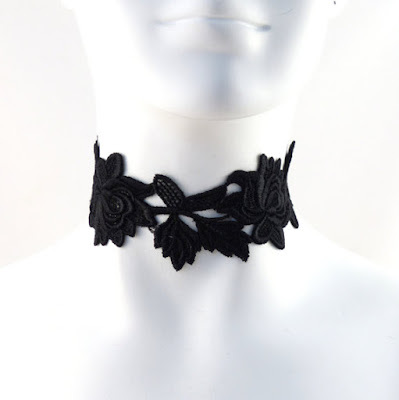 I'm in love with this romantic black lace flowers choker. You could wear this during a midnight stroll with your partner under a full moon this fall. 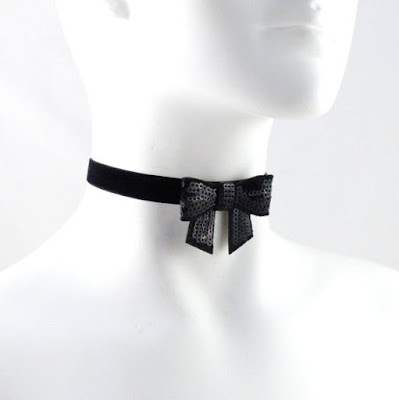 If you are a part of a burlesque act, this woman bow tie choker necklace adds a little darker element. I would wear this with a red or dark purple corset and a simple black skirt. 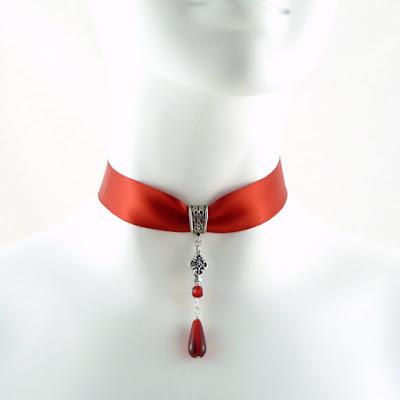 The red satin choker necklace with long glass beads is fit for a vampire. The tiny gothic cross is a great touch for such a simple and chic piece of jewelry. Even though it isn't black, it represents a very dark side. Do you think this woman looks very ghostly? 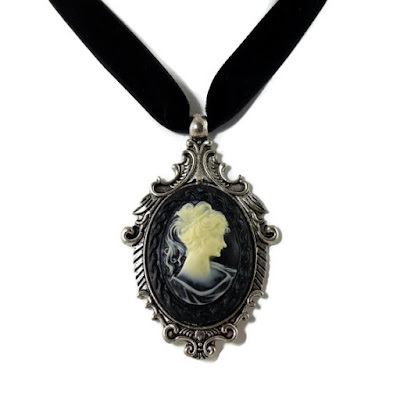 The black cameo with cream woman figure pendant is beautifully haunting. She actually looks like she is alive within the jewel. You could wear this violet satin choker with black stone and look like the villainous Queen in Snow White. The stone even looks like the magic mirror on the wall. It also looks like a scrying mirror. If you're like me, sometimes I need variety in color, so sometimes I prefer white jewelry. 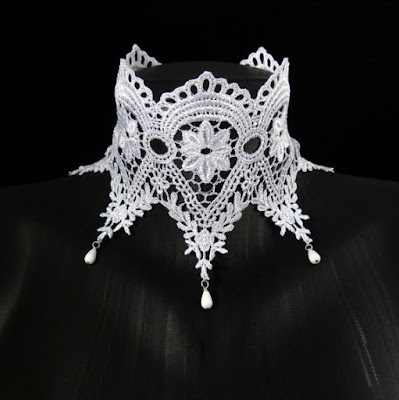 This very authentic Victorian white lace choker is a great addition to your collection. I think this looks very modern. You can make this large red rose black satin choker incredibly sinister depending on the rest of your attire! If the gem hanging below was any other color, it wouldn't be dark enough for me. 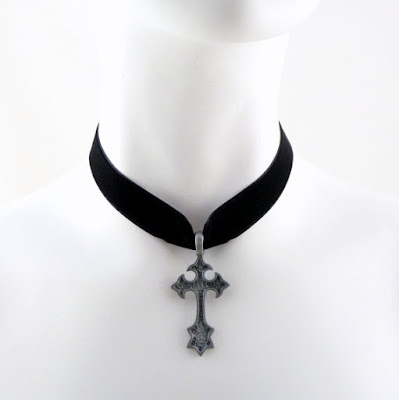 All I can say is that this gothic pewter cross pendant on a black velvet choker necklace is perfection. I want to see more jewelry with gothic crosses, because that's what I grew up with. 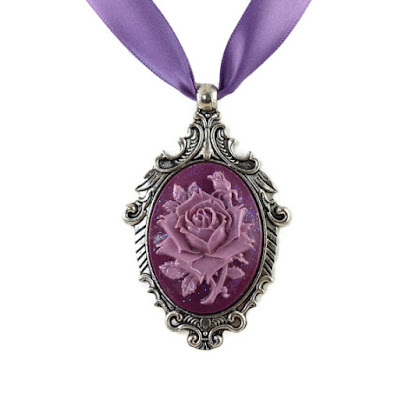 Speaking of having other colored accessories, this mauve flower cameo pendant with purple satin necklace is a necessity. The antiqued look is very stunning. The only issue I may have about this pendant is that it looks like there's glitter on it. I know lots of these are very lacy, but lace is my favorite fabric! What is your take on these pieces? These gothic jewelry and accessories from Arthlin are so wonderful and ominous. Make sure to comment below and let me know which one you like the most!